​New! 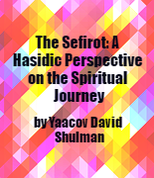 Get your free copy of The Sefirot: A Hasidic Perspective on the Spiritual Journey, a full-length book based on Breslov teachings. “Beautiful, poetic, and inspiring” —Norman Lamm, president emeritus, Yeshiva University. “An elegant and impassioned book that translates Jewish mystical wisdom into a contemporary idiom”—Daniel Matt, The Essential Kabbalah and God and the Big Bang. 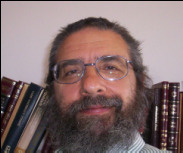 “Drawing on many different sources, Yaacov David Shulman has offered us a book of ancient teachings that can enrich and elevate the modern soul” —David Wolpe, The Healer of Shattered Hearts. ...and immediately receive The Sefirot!